T3 is for the EU! The Belgian creative communications specialists Next-Way recently created a stunning display at the European Parliament building in Brussels, using the UK-manufactured T3 modular system. 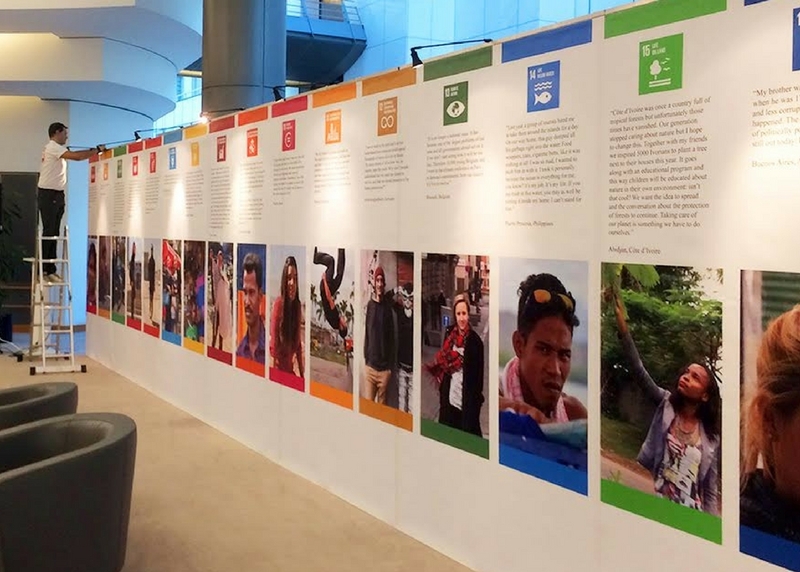 Using Tecna Displays’ T3 modular system, with T3 fusion tubing profiles forming the framework, Next-Waycreated a large 12m x 2.5m display wall in the foyer of the building for the United Nations to present and communicate a variety of messages and programmes to the Parliamentarians. Velcro taping was mounted onto the framework thus enabling the graphics to be quickly and securely attached and transportation to site was also relatively easy, as the entire stand was packed in two large compact cases that fitted comfortably into the back of a car. Furthermore, the lightweight nature of the T3 System made it much easier to accommodate the security restrictions currently in place at the Parliament buildings, which dictated that the cases had to be dropped off and hand carried the final 600-odd metres to the foyer. It took two members of the Next-Way team just 75 minutes to unpack and assemble the entire 12- metre wall, without the need for any tools. For further information on Tecna Display’s T3 system, visit: www.t3systems.com, e-mail: sales@tecnadisplay.com or Tel:+44 (0) 208 803 4469.